After the New Testament portion of The Holy Bible In Its Original Order appeared in 1995, and was review in the June 2005 issue of this Journal, we are pleased to see the entire Bible now in print. We said at that time, “It is an excellent translation for those desiring a literal one”—and [that] describes this edition of the entire Bible as well. This translation says it “is the only complete Bible ever published that accurately follows the original God-inspired manuscript order of all the books of the Old And New Testaments.” (Several others, however, claim to present the New Testament in chronological order). Included are vital commentaries providing accounts of the history and preservation of the books of the Bible. Who wrote them? When were they written? Other appendices answer such questions as: When was Jesus born? 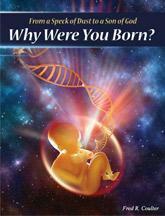 What does it mean to be born again? What are works of law? Moreover, there are detailed footnotes and marginal references explaining hard-to-understand passages of Scripture. Other features of this attractively-bound volume are triple binding for extra long life: Symthe stitching, spine stitching and glued; wide margins for personal study notes; beautiful original artwork of the Temple in Jesus’ time; and maps. We heartily recommend this fine translation that will be a welcome addition to every Bible collector’s library. [The following is a review of] The Holy Bible In Its Original Order, [translation and] commentary by Fred R. Coulter (York Publishing). This is an interesting Bible, and is self-described as “a Faithful Version with Commentary.” Coulter, a pastor of more than 40 years, argues that the original canonical order of the Bible was in seven divisions. The Law (Pentateuch), the Prophets, the Writings, The Gospels [and Acts], the General epistles, Paul’s Epistles and Revelation. What sets this product apart is Coulter’s decidedly conservative theology and highly literal translation, which represents the beliefs of a great number of Christians. The Holy Bible In It Original Order is a great balance to the excesses of biblical higher criticism. One great desire Dr. Ernest L. Martin had during his last 20 years of life was to see the eventual publication of a Bible in the correct, original manuscript order. He made his ambition clear in several articles and particularly in the last edition of his book Restoring the Original Bible which deals with the “Design and Development of the Holy Scriptures” (the title of Dr. Martin’s Ph.D. dissertation). A section containing numerous Appendices and Chronologies at the end. That has been accomplished with The Holy Bible In Its Original Order. I pray and hope that this will be the first of several such Bibles to be printed that will recognize and give credence to the order which God designed the writings of His Word to be read, an order of the books of the Bible that gives the full message of the Word of God. Indeed, all Bibles should reflect this proper book order, whatever the translation. Until other such Bibles are published (and the order of the books cannot be trademarked or copyrighted), The Holy Bible In Its Original Order will be the sole entry in this honored field. The Need—Just as one would have difficulty following the story line of the novel Gone with the Wind if the chapters were placed out of their intended order, likewise the far greater piece of literature, the Holy Scriptures, should be read, studied, and printed in the proper order. Recognizing and reading the Bible in its correct order should be a priority. So too, studying the Bible while recognizing and understanding where you are within the proper sequence of [the] books of the Bible should always be done. My Experience—Have I read the Bible in the proper order? Yes I have. I found that reading the Bible straight through in the correct order was surprisingly useful for my understanding. This was the case even though I have had the correct order in my mind since reading a bootleg copy of Dr. Martin’s Ph.D. dissertation in the 1970s. Jesus and the apostles were clearly aware of the proper place of every writing in the Old Testament. And note that all the Law, the Prophets and the Psalms were “concerning me,” meaning himself at that time, Jesus the resurrected Messiah. When I study, I am attentive to where a passage occurs within its book of the Bible and where that book falls within the total sequence and order among all the other books. It is quite easy to “learn by doing.” When studying any passage, glance at the listing and correct order of the books of the Bible, to see where that passage fits in the total framework and skeleton of God’s Word. After a while, knowing a book’s proper “place” becomes second nature to you and it properly molds your understanding of that passage and book containing it within its larger context. You will soon develop a subtle awareness of how passages “fit” no matter what text you read, no matter what Bible you read. That being said, having a Bible like The Holy Bible In Its Original Order with the books of the Bible already set in the correct manuscript order will aid you to more quickly understand the plan of Scripture and the plan of God through Christ. Reading from Genesis to Revelation in the correct order makes for structured reading, orders the mind, and reinforces the proper sequence of information from God to you. First Things—The primary thing I noticed when first looking at The Holy Bible In Its Original Order was that its production has been a labor of love: a love of God and Christ, and a love of the Word of God. Those are obvious even when I disagree with elements of the translation itself, or with the teachings in the commentaries, appendices, or chronologies. The Word of God is treated with proper dignity, respect and awe. It is a bit awkward at first “getting around” in the OOB (and I am quite familiar with the book order). It is a large book of almost 1,400 pages, 1,025 in the translation itself. However, time spent “searching” to find the passage for study is time well spent. The time spent searching makes you more and more familiar with the correct order and its subtleties. For example, it takes a while to deal with the fact that Job comes after Proverbs and that Ecclesiastes is attached to the Megilloth, after Lamentations and before Esther. You begin to notice subtle relationships such as between the last verses of one book and the first verses of the next, understanding that this is how God wanted them to be read. For example, look at the end of Second Chronicles chapter 36 where Cyrus says for the people of Judah to go and participate “to build Him [God] a house in Jerusalem,” meaning the Temple. The next passage is Matthew chapter one with its list of the genealogy of Jesus whose body is the Temple of God (Matthew 26:61; Mark 14:58; John 2:19–21; Ephesians 2:20; and Hebrews 8:2). Or, note the final words of Hebrews that make reference to Timothy (Hebrews 13:23). The next document in the correct order is the epistle of Paul to Timothy (Timothy 1:1–2). These “last and first” issues of the books in the correct manuscript order need to be explored further. The Format—The layout of this Bible is large with two columns of biblical text on each page separated by a smaller central column with relevant cross references (in smaller type). The text is large. I believe it to be at least 12 point, with a common typeface, which is easily readable. However, this cannot be considered a large-type Bible. The margins are wide on all sides of every page for your own personal notes. The references in the small center column are standard King James Version marginal references, but all the references are in proper manuscript Bible order. This means that if you have a set of 7 or 8 verse references in the central column, they will be in the proper, original order sequence of books. This is logical and very handy. There are a few explanatory notes in the center column.... Occasionally there are explanatory footnotes, one particularly long one on Genesis 6:4, about two-fifths of the page. The Commentary Section—There are 14 Commentaries comprising 116 pages. The information in these Commentaries is generally very good. Some are one page, some are considerably longer. They deal with subjects regarding the canonization of the Bible, the need for a properly ordered Bible, and why a new translation was needed. The information about the history and development of present-day Bible translations is excellent and well presented. Dr. Martin is quoted in several of these Commentaries, and quite extensively in some. Dr. Martin’s book Restoring the Original Bible is greatly respected. First, the old King James-isms (terms like thee, thou, unto, hath, shalt) have been changed to conform to contemporary English. This is to be expected and I regularly do it myself even when quoting the King James Version. Although most modern translations do the same, as Fred Coulter notes in his Commentary, some translations become too contemporary and even use slang terms or street language. This is uncalled-for and unnecessary. Next, two unfortunate old traditions of English Bibles are continued in the OOB translation. The first is that Elohim is translated simply [as] “God.” That rendering hides the unique nature of Elohim, which is properly discussed and explained in one of the Appendices. The Old Testament Translation—For the Old Testament text there seems to be a dependence on the Bishop’s Bible/Geneva/King James Version tradition that comes through this translation. This is not a bad thing, however, because the King James Version has had a great impact in molding the English language. However, it should be understood that the group of Greek manuscripts used by the King James Version are not the oldest or most complete. The full title, The Holy Bible In Its Original Order: A New English Translation, A Faithful Version with Commentary is ambiguous because it refers to itself both as a translation and as a version. It is my understanding that a version is a revised translation, so it is unclear how the OOB is to be considered. For example, the King James Version is a revision, not a full new translation, as it is based on previous works, particularly the Geneva Bible. If the OOB is a version, then is there a basic English text? That is not specified in Commentary material. Of course, the Hebrew and Greek meanings (better understood today than in 1611) take precedence over any English meaning, no matter how poetic or revered. One useful feature of the OOB is that Old Testament [geographical names] when they first occur are translated with the transliteration being put in the center column. For example, in Genesis 21:31 the King James Version has: “Wherefore he called that place Beersheba; because there they sware both of them” (Genesis 21:31). The marginal rendering has “Beersheba: that is, The well of the oath.” I prefer the OOBmethod as translated: “This is why he called the place The Well of the Living One Seeing Me, because there they both swore an oath.” Then in the marginal note it has “Heb. Beersheba.” After the initial occurrence, the name “Beersheba” is always used. This first occurrence translation is quite helpful for the casual reader who ordinarily might pass over geographical terms without realizing that they often have significant meaning. There is an unfortunate lack of consistency in the OOB in the rendering of key biblical terms. Take “soul” for instance, which in Hebrew is nephesh. The word is most familiar when applied to man in the King James Version of Genesis 2:7: “and man became a living soul.” The OOB translates that verse as “and man became a living being.” The problem with such a rendering is that it is most useful and reasonable to translate nephesh with the one word “soul” in every instance just as the Hebrew uses one word. In Genesis alone nephesh is variously translated in the OOB as “creature,” “being,” “life,” “people,” “soul,” “mind,” “him.” In Genesis 19:17 and 19 nephesh is translated “life” and then in verse 20 it is translated “soul”! In fact, for the 39 occurrences of nephesh in Genesis the OOB used the same English word as the King James Version, when in each case the single word “soul” would have fit perfectly in all cases. This is not consistency but confusion. To be fair, most all translations do the same thing. Sheol is the Hebrew word for grave, and consistency is very important for this word. I was pleased to see sheol regularly translated “grave” and occasionally translated as “pit.” This is commendable and could have been done for the majority of Hebrew words used multiple times. There are 95 uses of the noun “soul” (psuche in Greek) in the New Testament. Eleven of them occur in Matthew where the word is variously rendered “life” and “soul.” Why use two English words for a simple noun? But again, most translations do the same thing. A 6-page section of non-biblical commentary comes after the Book of Acts and before the Epistle of James. The section is an introduction to the general epistles of James, Peter, John, and Jude, and [explains] why they should be properly come before the Pauline epistles. This would be better placed in the Commentary section and not in the biblical text section. The information in the Commentary is useful and comprehensive, but not placed where it interrupts the New Testament text. A long footnote pointing the reader to the same valuable material presented elsewhere would have sufficed. I was pleased to see the three Greek words usually rendered “hell” (hades, tartaroo, and gehenna) are properly differentiated. For its translations of these words the OOB is to be commended, although they were not the first to use these terms. Hades is correctly and consistently translated in the OOB as “grave” in the 11 times it occurs. Tartaroo is only used once in the New Testament and is translated “Tartarus” as the place of restraint for the spirit messengers. Gehenna occurs 12 times in the New Testament. The OOB transliterates it as “Gehenna” with the capital letter, designating it as a proper noun and place. This is precisely correct. The Appendices/Chronologies—There are 25 appendices, A through X, and 6 chronologies, with a Bibliography at the end, 136 pages worth. The appendices deal with various doctrinal issues defending Fred Coulter’s general doctrinal positions and translation choices. This is fine. After all, no translation is uninfluenced by the beliefs of the translators. It is humanly impossible. Fred Coulter makes his positions as translator clear. Dr. Martin’s doctrinal teachings are on the ASK Web site and in his published books. He did, and I do, regularly “correct” translations according to our current understanding. Fred Coulter has done the same. 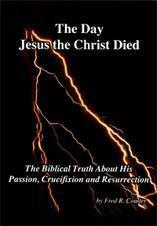 In Appendices E and F, Fred Coulter presents his evidence that Jesus was born in the autumn of 5 BC. He gives a list of lunar eclipses that took place before Passover in the years 7 to 2 BC. The Bottom Line—Please do not ask me, “should I buy this Bible?” Rather, consider: If you are not reading the Bibles that you have, then why buy another one? No Bible should be purchased if it will sit on the shelf. It is unlikely that one single Bible would suddenly excite you to read it when you only had a vague desire before. On the other hand, if you think it will cause you to read the Bible regularly, if you think it will be useful for you, then buy it quickly. You cannot have too many Bibles if they are read, and if they contribute to your understanding about God. That goal has been accomplished. The problems in [this] translation that I mention above are also common to the King James Version, the Geneva Bible before it, and the Tyndale Bible before it. They are theological problems that prevent the true translation on those matters to come through. No production of man is perfect. Everything that comes from God fulfills His intended purpose, even when made imperfect by man. Make up your own mind about the Appendices. The Chronologies are useful and should be studied, not just glanced at. Some people (like me) love this type of material, but others find it not so interesting. Chronology III, “Chronological History of the Writing of the Old Testament 4024 BC to 400 BC” is referenced as being based on facts extracted from Dr. Martin’s Restoring the Original Bible. Conclusion—I wish The Holy Bible InIts Original Order great success. It is a landmark achievement, a first in history for an English version. Success for the OOB will lead to a Bible concordance which will go a long way to make it a true study Bible. Ultimately, however, the OOB is designed to be read from beginning to end, in the order God intended, like a great and large novel: progressive from simple to detailed, from beginning to completion, it presents God’s story of His love for man (John 3:16–17). It is the most important story possible. It is a story that includes you and how God works through Christ Jesus, throughout history, to produce your future salvation and exaltation as a child of God. At present the down payment of God’s Holy Spirit is your assurance that He shall fulfill what is in the written Word of God. God’s Spirit is His writing on your heart, changing, molding it so it can receive the full righteousness of Christ and His glory. God’s story, His story, is what we should be focusing on in this life, whether we read it in [the] OOB or use our own reading plan in the correct order with our own Bibles at home. The Holy Bible InIts Original Order makes it convenient. For your sake, read and study and hear and learn God’s Word by any and every means.